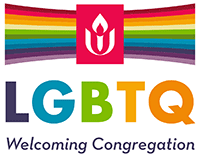 On Saturday, June 23, 2018, 11:00 AM, UUs will join other organizations and individuals in downtown Cincinnati to show support for the lesbian, gay, bisexual, transgender and queer community. Assembling at 10:30 AM, the Parade will start at 11 AM, at 7th Street and Western Avenue, and will head to the festival grounds at Sawyer Point/Yeatman’s Cove. This is a family-friendly event with UU of all ages marching in the past. The UU Council of Greater Cincinnati will have a booth at the Festival which starts at the end of the Parade and lasts until 9pm. For more detailed information about the event, go to https://wp.me/p1Hwy8-iY .